The Pure FX – Simplicity as it's finest! 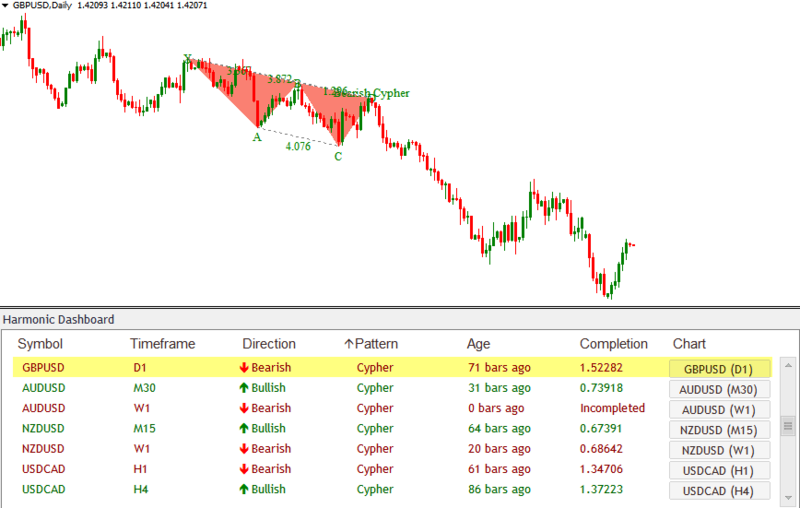 SUBSCRIBE TO OUR FREE NEWSLETTER AND GET HARMONIC SCANNER INDICATOR FOR FREE! Harmonic patterns. You love them. Timeless, elegant, and just flat-out work. So everybody knows that harmonic patterns work like crazy. But the reality is there are not a lot of traders who are profiting from these powerful patterns right now. It’s definitely lots and lots of work. First, it will scan ALL currency pairs and ALL time-frames for the most effective harmonic price patterns. And all these calculations are done so fast – literally within seconds – you won’t even notice the time. Then, the indicator will display a beautiful dashboard on your chart where you can see exactly what harmonic pattern has recently formed on EVERY pair, EVERY time-frame. 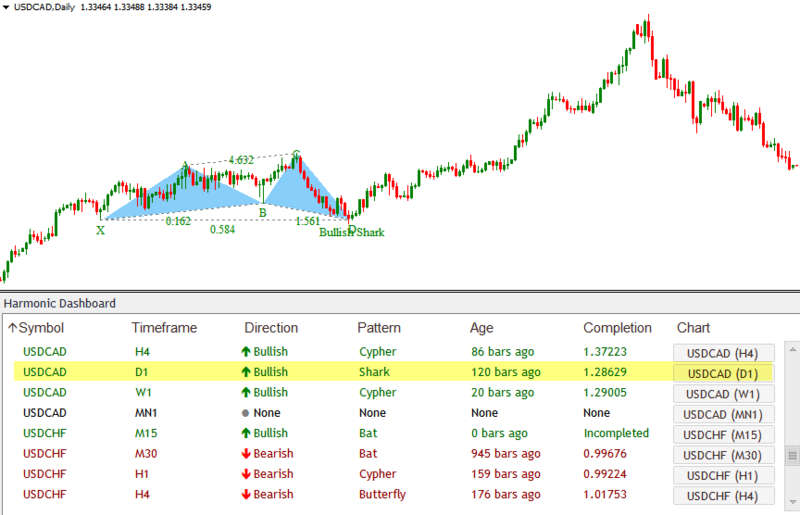 Identifies high probability chart patterns in seconds. Very easy even for complete beginners. With just one look at the dashboard, you’ll instantly know all the information you need to make a good trading decision. 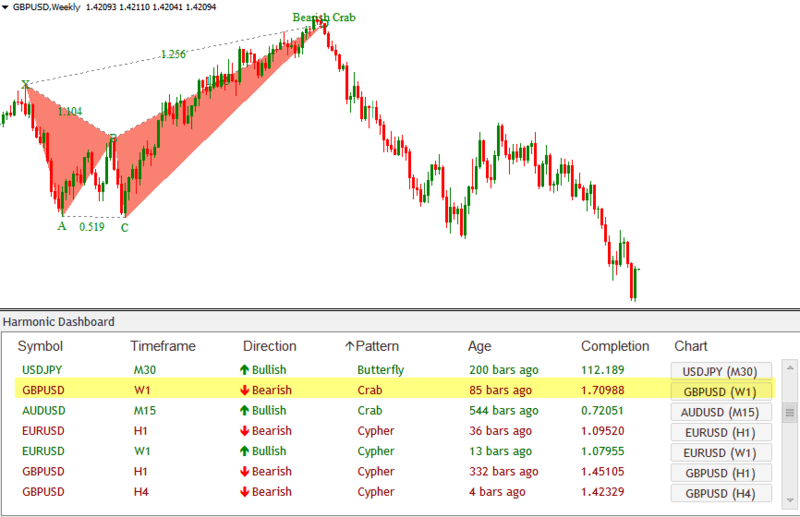 You’ll instantly know which pattern appears on every time-frame (from 1-minute to monthly) and on every currency pair. Not only that, you’ll also know the exact direction of that pattern – whether it’s bullish or bearish. And you’ll know exactly how long ago that particular pattern showed up. You can also use it for indices, stocks, futures, and gold (anything your broker offers in Metatrader 4). 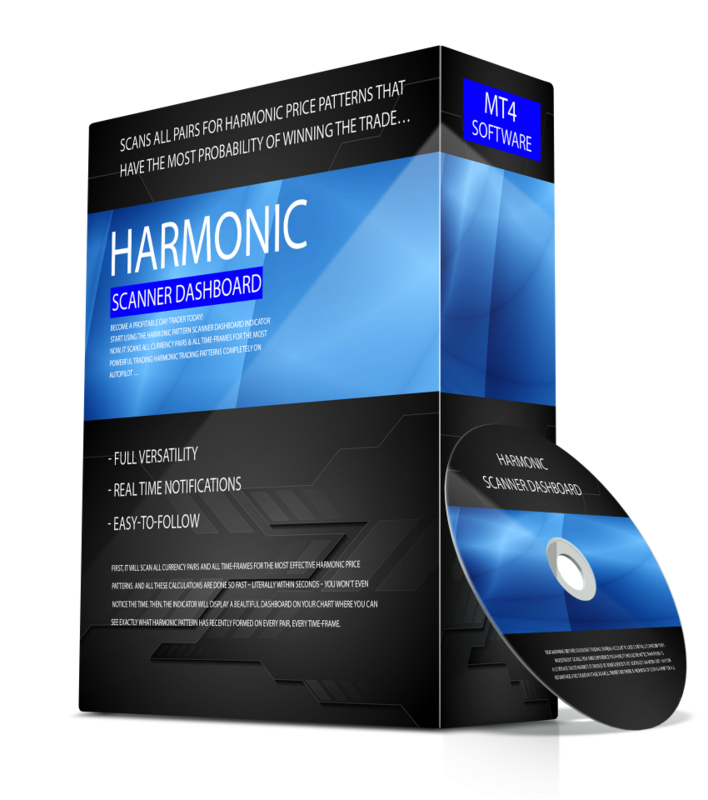 Our Harmonic Scanner Dashboard will take care of it all. In the example below, you’ll see Gartley patterns on EUR/USD 4-hour chart, and on AUD/USD 1-hour and 4-hour time frames. All of these 3 Gartley patterns precede a significant market move in the predicted direction. Here’s a great example of the Cypher pattern in action. 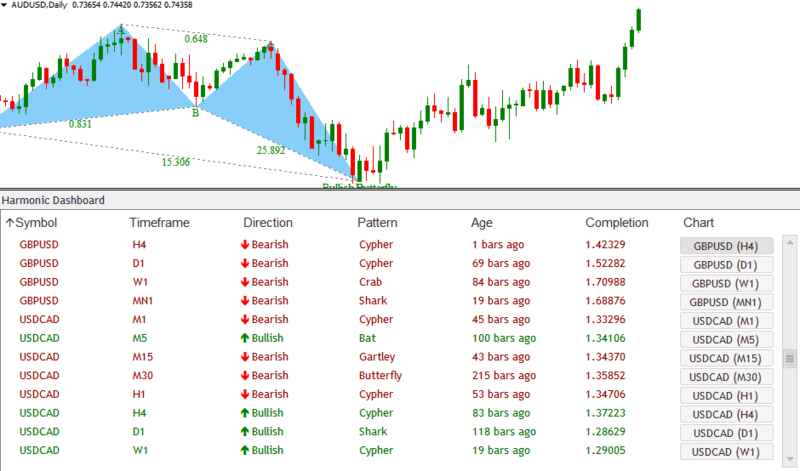 On the same pair GBP/USD, the Harmonic Dashboard indicator detects a formation of a Crab pattern on the weekly time-frame. You can trade any currency pair or other trading instruments like gold, oil or stocks. The system operates on every MT4 timeframe. The indicator was designed for MT4 trading platform. You will be able to download the product right after purchase. Absolutely not. This is strictly one time purchase. What do I need to start trading with FX Nuke? You will need internet connection and MT4 trading platform. For more information and details please contact our service.